I’m sitting on a legless chair in the middle of a small apartment in the Mid-Levels. Looking around, it’s quite obvious that the owner is in touch with her spiritual side, with prayers, beads, crosses and deity portraits of Guan Yin and Jesus alike lining the walls and tables. Across from me is Rosina Maria Arquati, a small, blond British woman with her hair kept short, who also happens to be one of the most prominent animal communicators in Hong Kong. 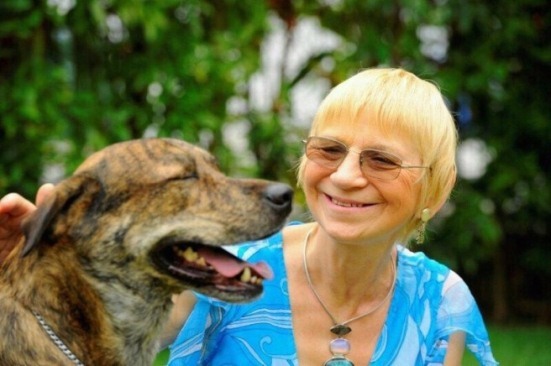 Over 30 years have passed since she moved here from England, but it wasn’t until the last decade or so that her activities in the animal world became widely reported. Nowadays, the animals’ rights activist (her biggest bane is puppy mills) who’s married to a veterinarian is a qualified animal communicator, animal healer, animal bereavement counselor and Reiki master, amongst other things. “So, what would you like to know?” she asked. The first thing on my mind was, how exactly does one talk to an animal, and is it anything like Dr. Dolittle? Not exactly. Rosina communicates with animals through telepathic imagery, so it doesn’t matter what language you (or the animal) speaks. For outsiders, there’s no visual sign that a conversation is going on. 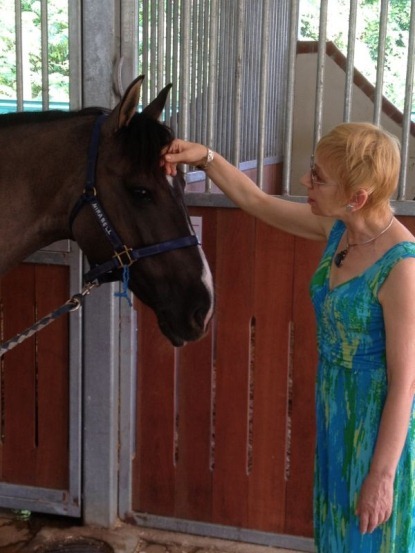 It’s not just cats and dogs — Rosina talks to all types of animals including horses and rabbits. She claims our caveman ancestors have always had the skill of telepathic communication, but once language came along, this part of our brain became dormant. In Rosina’s case, hers is very much active. As a child, Rosina was bullied for being dyslexic and an illegitimate child, and still deals with skeptics to this day. Her earliest memory of animal communication was when she was five years old, sitting in the back of her aunt’s café near the Arsenal Football Club. “I hate the cold, and I was sitting there by the fire when I said ‘I want to be somewhere warm!’” she recalls. “Suddenly, I heard someone say ‘I’ll go with you!’” Nobody else was in the room except the house cat. So, let’s cut to the chase — was she legit? I happened to have a photo of Charlie, my 14 year old mini Schnauzer on my phone, so I showed it to Rosina to get a brief reading. She took one glance at the photo and started talking. Surprisingly, she was spot on. Ever since my helper had left, my dog had begun doing his business all over the house, especially when we were out or asleep. Rosina encourages potential owners to rescue dogs and not support the numerous puppy mills around the world. Other times, Rosina wasn’t so accurate, like her guess that my mother worked multiple jobs since Charlie had apparently said she changed clothes a lot. As with all supernatural experiences, it’s difficult to verify that they’re real. After all, Rosina’s gift could be attributed to her keen eye for observing details about people and her skills in persuasion. Admittedly, I was skeptical about the whole ordeal too, but whether it was legit or not, Rosina’s consultation was a reality check for me. Her deep compassion for animals reminded me to look at the world from my pet’s paws and to become a better owner. And at the end of the day, isn’t that all we want?